We live in an active earthquake region. 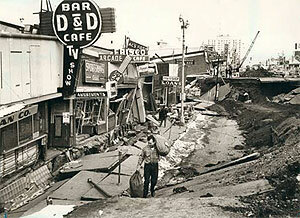 In fact, BC averages approximately 1,200 earthquakes per year. Most are too small to be felt, but an earthquake capable of causing structural damage is expected to occur somewhere in the province about once every decade. There is a one in three probability that a major, damaging earthquake will occur in the next 50 years. 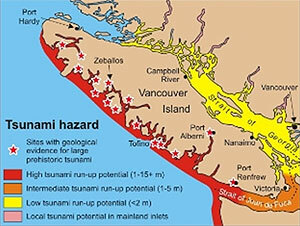 We never know when "the big one" may happen, but we know one will occur in our area—its just a matter of time. You only have seconds. Do you know exactly what to do the moment the ground starts shaking? 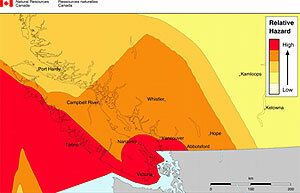 The Great BC ShakeOut earthquake drill takes place across North America on the third Thursday of every October. Hundreds of thousands of participants will simultaneously practice the recommended action during an earthquake, 'Drop, Cover and Hold On'. Register your family or business today and be a part of the largest earthquake drill in BC's history.